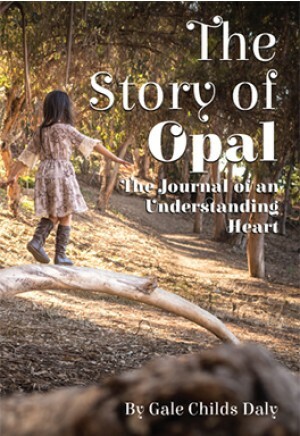 The Story of Opal is about a little girl who lived at the turn of the 20th century in a lumber camp in Oregon. She was a prodigy who kept a diary from the age of 5 until she was 12. Opal had a surprising and charming way in which she looked at the world. She was a lonely child and had only the Bible and an almanac to read at home. From these two sources, she selected names for her pet animals and the trees that grew in the forest all around her. For example, Peter Paul Rubens was her pig; Elizabeth Barrett Browning, her cow; William Shakespeare, her horse; Lucian Horace Ovid Virgil, her toad; Brave Horatius, her dog; and her favorite tree was Michael Angelo Sanzio Raphael. The forest was her cathedral, and she went there every day to talk to the trees. 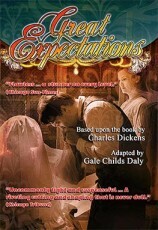 This play is an adaptation of Opal’s diary. In it we meet her animal and plant friends, but also some special grown-ups, such as “The Man Who Wears Gray Neckties and Is Kind to Mice,” Sadie McKibben, “Dear Love” and “The Girl Who Has No Seeing.” Opal’s world was exceptional, and she recorded every day, lovingly and carefully, in her own special language. Everyone who enters Opal’s world will remember it. Her life is portrayed here without sentiment—it was a hard, impoverished time in a grim environment, and yet she managed to find good in the world and engaged it with an “understanding heart.” One actor plays the central role of Opal, and four others play all the other parts, including animals, trees and a chorus of singing potatoes. This play is a fun, magical and sometimes fantastical look at childhood through the eyes of a very special girl—Opal Whiteley.